NFC Sticker made of PVC. NFC Tags are new, empty and have an available capacity of 144 bytes. These NFC Tags don't work close to metal surfaces. 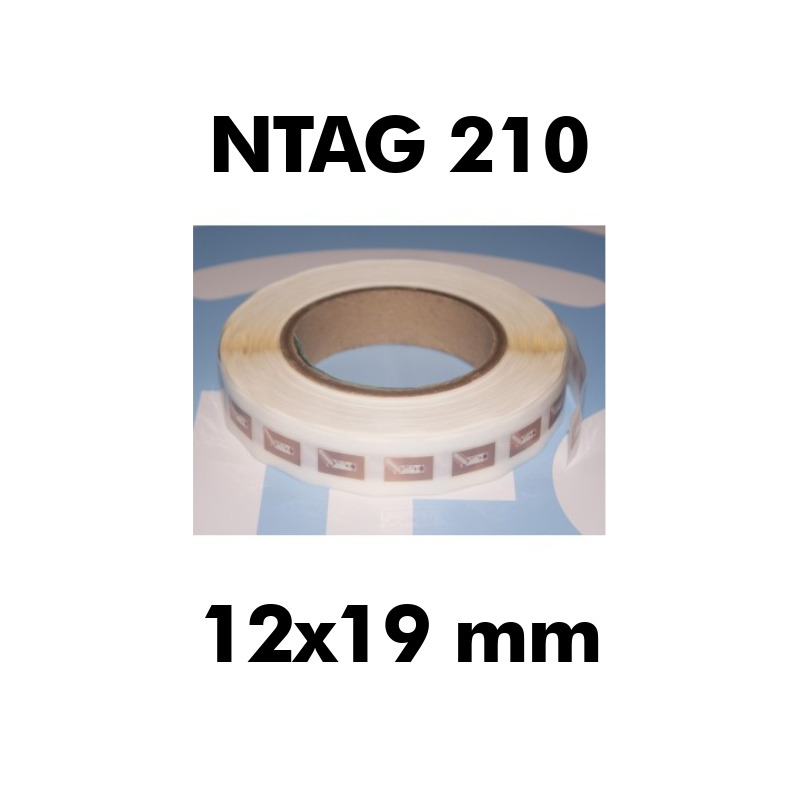 NTAG213 Chip provides full compliance to the NFC Forum Tag 2 Type technical specification and enables NDEF data structure configurations. The anticollision function is based on an IC individual serial number called Unique IDentifier. The UID of the NTAG213 is 7 bytes long and supports cascade level 2 according to ISO/IEC 14443-3.